Do I Qualify for a Mortgage? Do You Need 20% Down to Buy a House? What Is the Loan-to-Value Ratio? Do Mortgage Rates Change Daily? What Mortgage Rate Can I Get With My Credit Score? Which Mortgage Is Right For Me? Can I Lower My Mortgage Rate Without Refinancing? Does Refinancing Hurt Your Credit Score? What Is a Streamline Refinance? From what I’ve been hearing lately, the secondary mortgage market is completely dead. The only loans that seem to be selling successfully on the secondary market are conforming, agency-backed mortgages that fit Fannie Mae and Freddie Mac guidelines. And I suppose government loans like FHA loans. Jumbo loans, limited documentation loans, second mortgages, and anything else that doesn’t fit agency guidelines cannot be sold on secondary, and must be kept on the books. As a result, mortgage companies that originate loans that don’t meet Fannie and Freddie guidelines will disappear very quickly as non-marketable loans begin to stockpile and exhaust warehouse lines of credit. The only mortgage lenders that can survive in this climate are portfolio lenders, those that both originate and service their own loans. Companies that originate and service loans include giants like Countrywide, Wells Fargo, Indymac, Bank of America, Washington Mutual, and other similar brands. These companies can effectively hold on to any type of loan they originate, as it doesn’t need to be sold on the secondary market, and the infrastructure is in place to collect mortgage payments and earn money from interest. Portfolio lenders also have the final say as to what types of mortgage programs they can offer borrowers, without the worry of investor approval or the fear of selling securities at a loss. Indymac just announced that it will return to originating jumbo loans, but that the loans will stay on their books and be serviced in-house until the secondary mortgage market becomes functional again. Many other banks like Countrywide will be doing the same thing, which may force them to scale back certain elements of their business such as correspondent lending and wholesale. One of the reasons why the Countrywide bankruptcy fears were unfounded. So how do small lenders survive if their only product offerings are the same agency products that every other lender has? And why would homeowners seek out smaller wholesale lenders or mortgage brokers if the same product is available with a larger lender at a better price? Many mortgage brokers and specialty lenders were around to fill in the gaps and provide creative financing to borrowers who couldn’t place their loans with larger banks. But without an alternative product mix or a niche product it will be very difficult for any small lender to survive. 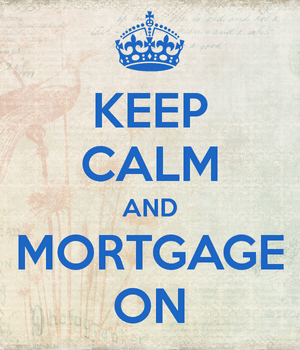 Look for many more closed mortgage companies in the coming weeks and months as a result. Before creating this blog, Colin worked as an account executive for a wholesale mortgage lender in Los Angeles. He has been writing passionately about mortgages for 13 years. Are Mortgage Points Worth It? How Are Mortgage Rates Determined? Should I Lock or Float My Mortgage Rate? Should I Rent or Buy a Home? What Credit Score Do I Need to Get a Mortgage? What Is a Mortgage Broker?